Maine Tree and Landscape: Central Maine arborist, tree removal, tree maintenance, vista cutting. Maine Tree and Landscape: Arborists, plant healthcare and urban forestry experts serving Central Maine. Maine Tree and Landscape, Inc. 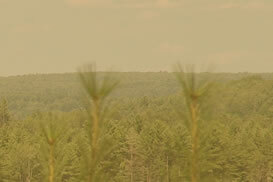 Welcome to Maine Tree and Landscape, Central Maine's ONLY plant healthcare company. Maine Tree and Landscape is a full-service, professional plant healthcare company based in Bangor, Maine. We serve commercial clients statewide and residential customers in the Central Maine area. The professionals at Maine Tree and Landscape have the experience and training to get the job done. Owner Patrick Audet III is a degreed and certified Arborist/Urban Forester. He has personally supervised the plant healthcare professionals at Maine Tree and Landscape since 1994. Pat is a current member and director of the Maine Arborist Association. Maine Tree and Landscape is far more than just a "tree removal" company. We offer a complete line of plant healthcare services that range from residential tree maintenance to complex tree and property planning for large organizations. Maine Tree and Landscape has performed work for hundreds of residential, public and commercial clients in Maine for the past ten years. Please visit our clients page for a partial listing of our current and former satisfied clients. Contact Maine Tree & Landscape today for a consultation or estimate. ©2004-2006 Maine Tree and Landscape, Inc.